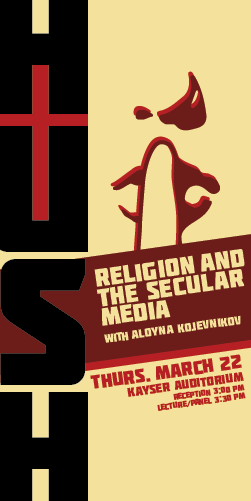 On Thursday, March 22, 2018 the Keston Center for Religion, Politics, and Society proudly welcomed former Radio Liberty Moscow Bureau Chief, BBC Russian Service Broadcaster, Translator for Margaret Thatcher and Keston College Information Officer, Alyona Kojevnikov who spoke on "HUSH! Religion and the Secular Media." Our 2018 spring lecture was held in Kayser Auditorium in the Hankamer Academic Center on the campus of Baylor University. A reception to honor our speaker began at 3:00 p.m. just outside Kayser Auditorium, and the lecture and panel discussion followed at 3:30 p.m. A panel that included Robert Darden, Professor of Journalism, Public Relations, and New Media; Roland H. Smith, Former British Ambassador to Ukraine; and Lynn Tatum, Senior Lecturer in the Honors College engaged Ms. Kojevnikov's remarks. The daughter of White Russian emigres, Alyona Kojevnikov was born 24 September 1943 in Yugoslavia, where her family lived beginning in 1920. From the age of 1 to 6, she lived in refugee camps in the American zone of occupied Germany. The entire family emigrated to Australia in 1950. 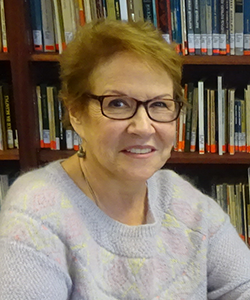 She graduated from Melbourne University with a double major in Russian Language and Literature, then received a Diploma of Librarianship, and conducted the book exchange program between Melbourne University’s Baillieu Library and libraries in the then USSR. In 1971, Alyona and her husband, who was also of Russian extraction, received an offer to work on the news desk of Radio Liberty in Munich. In 1975, she met Michael Bourdeaux at the First International Sakharov Hearing in Copenhagen and learned about Keston College. Sometime later, she was offered the post of Information Officer at Keston, and as her husband was offered a job in the Russian Service of the BBC at the same time, they relocated to London with their 11-year-old son Alex. While working at Keston College, Alyona was “loaned” to the BBC to present and co-author the weekly Russian language religious program. In later years she also performed this function for the Russian religious program of Radio Liberty. Apart from compiling and editing the Keston News Service, Alyona maintained telephone contact with religious dissidents in the USSR and visited the USSR twice before being declared persona non grata. Having been granted security clearance by the British Home Office, she acted frequently as an interpreter for various prominent UK politicians, including the then Prime Minister Margaret Thatcher. In 1992, Russian President Boris Yeltsin signed a decree allowing formerly jammed Western radio stations to open offices and studios in Moscow, and Alyona was approached by Radio Liberty to go to Moscow as Bureau Chief and set the operation up from scratch. Some years later, Alyona resigned from Radio Liberty and worked as a bilingual translator for several law firms, including the international law firm of Baker & McKenzie. Alyona Kojevnikov returned to the United Kingdom in 2013 and settled in Rye following a medical accident that resulted in the loss of sight in one eye. She was delighted to be invited to serve as a trustee of the Keston Institute, as that first meeting with Michael Bourdeaux all those years ago turned out to be one of the major landmarks of her life.